Yes! You can now login as a teacher, parent or child and plan the day directly in the app. We have been working extra hard to make the new DayCape version our best update so far. 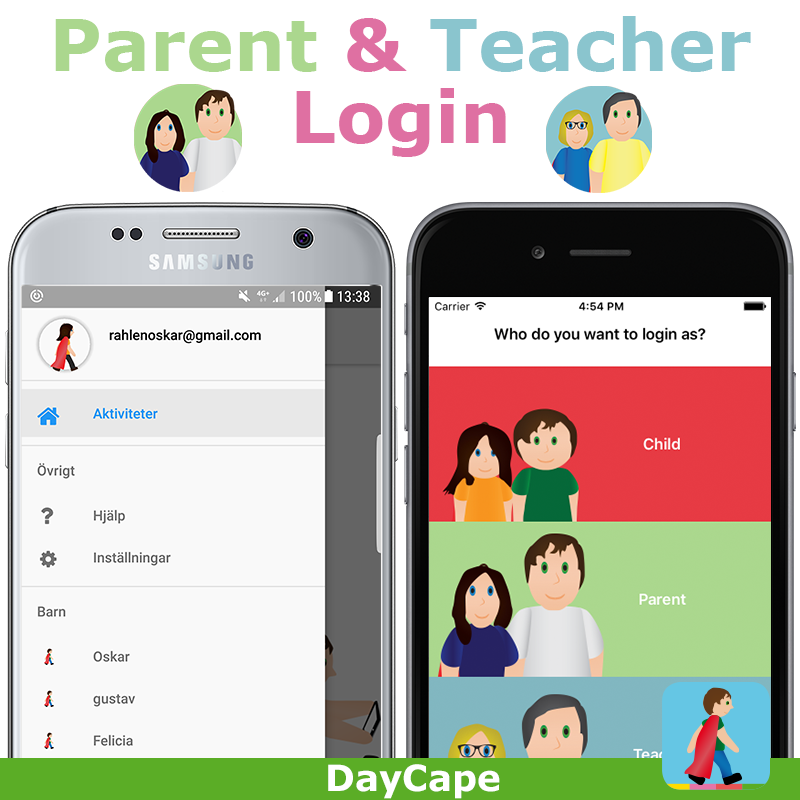 This version includes a new login function which allows you to login either as child, parent or teacher. This function offers new and improved ways to manage planning, directly from the app. With the help of user feedback, we have also been able to take care of several bugs. So now it’s even easier for you to enjoy your superday! Be even more mobile with the new DayCape! You can now login as a CapePlanner and enjoy more ways to plan the day directly in the app. Create, edit or delete activities. Add images directly from your phone or surfpad. Swap between the CapeUsers who you want to plan for. Improved auto scrolling that makes it easier to find completed activities. Choose to view only the actual day. Improved Widgets. If you haven’t tried it yet, go to widgets in the home screen in your phone and add it. We always want to know what you think about DayCape. Please rate and review the app at App Store and Google Play. Got ideas? Please contact us! ← You spoke and we listened – DayCape 2.9.9 is here!